If geopolitics studies how nations behave, then the nation is singularly important. Nation-states are the defining feature of the modern political era. They give people a collective identity and a pride of place… even when their borders are artificially drawn, as they were in the Middle East. Constantly in conflict with the notion of nationalism, especially in such a volatile region, are transnational issues. These are issues like religion and ethnicity that cannot be contained by a country’s borders. Arab nation-states are now failing in the Middle East, and though their failure is primarily due to their governments’ inability to create viable political economies, transnational issues—especially the competition between the Sunni and Shiite sects of Islam, as well as the struggle within the Sunni Arab realm—are expediting the process. 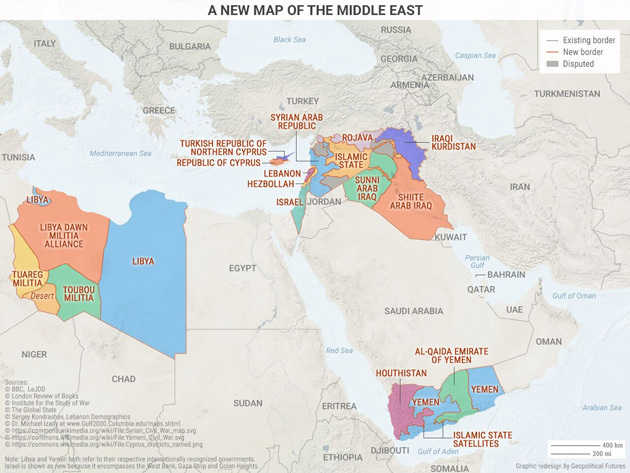 Transnational issues have long bedeviled the countries of the modern Middle East. Major Arab states like Egypt, Syria, and Iraq began to flirt with pan-Arabism—a secular, left-leaning ideology that sought political unity of the Arab world—not long after they were founded. It threatened entrenched powers, particularly Arab monarchies like Saudi Arabia. But for an ideal that promoted unity, pan-Arabism was a notably fractured movement, with claims of leadership coming from the Baath party in Syria and Iraq to Gamal Abdel Nasser in Egypt. Whichever form it took, it advocated a kind of nationalism that defied the logic of the nation-state. Pan-Arab nationalism failed because it couldn’t replace traditional nationalism and because it advocated something that had never existed in history. But the countries that rejected it never really developed into viable political entities. Autocracies and artificial, state-sponsored secularism kept them fragile, held together mostly by the coercion of state security forces. Since the 1970s, these countries have been challenged by another transnational idea, Islamism (or political Islam), which has proved to be far more effective than pan-Arabism. Whether practiced by the Muslim Brotherhood, by jihadists, or more recently, by Salafists, the movement has spread throughout the Middle East. It has taken root not only among Sunni Arabs but also among Shiites. In fact, the Shiites were the first to create an Islamist government when they toppled the monarchy in the 1979 Iranian Revolution. Sunni Islamists would not hold traditional political power until after the so-called 2011 Arab Spring. But their power was short-lived: Either the regimes they sought to replace survived the uprisings, as was the case in Egypt, or the uprisings themselves eventually gave way to armed insurrection, as was the case in Syria. The anarchy of the Arab Spring was fertile ground for jihadists, especially for the Islamic State, which became the most powerful Sunni Islamist force in the region. The group owes its success primarily to its ability to exploit sectarian differences in the region—differences made all the more acute after the United States toppled the regime of Saddam Hussein, a secular government dominated by Sunnis who had been in control of a majority Shiite country. The Baathist regime in Iraq was replaced by a Shiite-dominated government that Sunnis throughout the region had tried to keep from power. Likewise, the Islamic State, Saudi Arabia, and Turkey scrambled to take ownership of the Sunni rebellion in Syria, which had been led by a minority Shiite government. 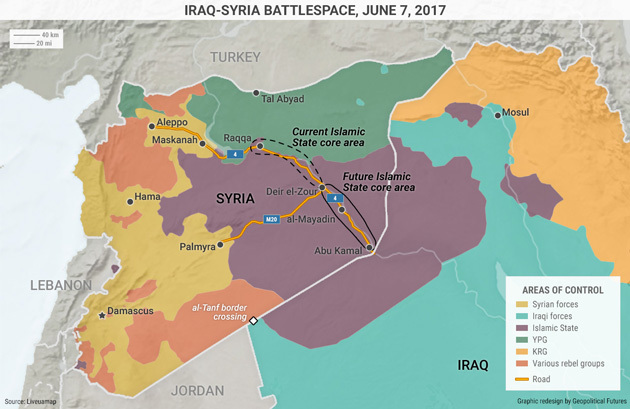 The Islamic State was the best positioned to exploit the situation, creating a singular battlespace that linked eastern Syria with western Iraq. In doing so, it has destroyed what we have come to know as the sovereign states of Iraq and Syria. Iraqi and Syrian nationalism can’t really exist if there is no nation. The Islamic State has lost some territory recently, but its losses appear to benefit not the nations to which the land once belonged but the sectarian and ethnic groups that happen to be there. In Syria, Sunni Arab forces are not all that interested in fighting the Islamic State. The only two groups that appear willing are the Syrian Democratic Forces, which are dominated by Kurds who are trying to carve out their own territory, and Syrian government forces, who want to retake the areas that IS seized after the rebellion broke out. Identities based solely on sectarianism now stand in the place of nationalism. On one side are the Sunnis, led nominally by Saudi Arabia. On the other are the Shiites, led nominally by Iran. The Sunni bloc is in disrepair; the Shiite bloc is on the rise. The fact that Iran is Persian has in the past dissuaded Arab Shiites from siding with Tehran, but Saudi efforts to prevent the Shiite revival (not to mention the rise of the Islamic State) have left them feeling vulnerable. They are willing to set aside their differences for sectarian solidarity. There’s historical precedent for what’s happening in the Middle East. In the 10th century, the Shiite Buyid and Fatimid dynasties came to power because the Sunni Abbasid caliphate, challenged by competing caliphates and upstart Persian and Turkic groups, began to lose its power. 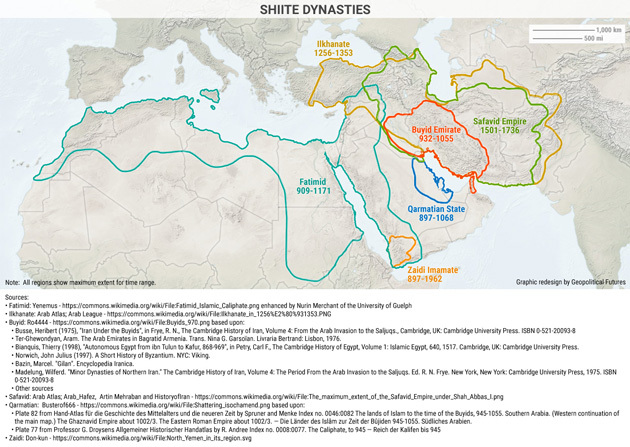 Shiite dynasties ultimately could not survive in a majority Sunni environment, especially not after it came back on top from around 1200 to around 1600. The Shiites rebounded in the 16th century in the form of the Safavid Empire in Persia, which officially embraced Shiite Islam as state religion. Power changes hands, cyclically, about every 500 years. 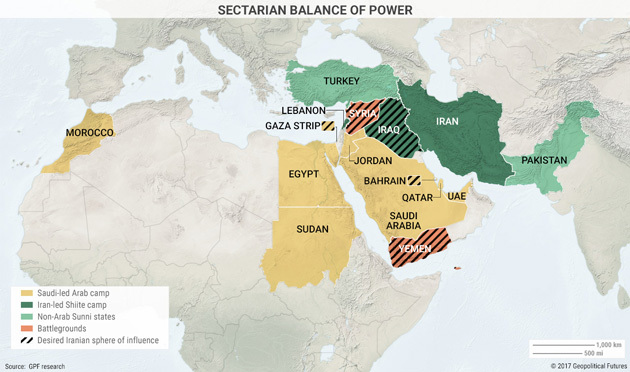 And now, with Sunni Arab unity on the decline and with jihadists challenging Sunni power, the circumstances are ideal once again for Shiite power to expand. 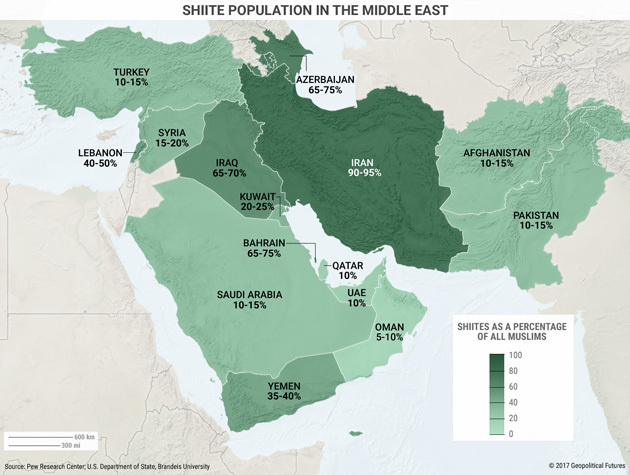 The Shiites are a minority, so it’s unclear just how far their influence can actually spread. But what is clear is that modern nationalism is being replaced by medieval sectarianism. June 26, 2017, 5:19 p.m.
Based on the definitions of modern nationalism and medieval sectarianism is the United States nationalism slowly being replaced by sectarianism?